Creative writing: Should children be encouraged to develop their skills in this field from an early age? The straight forward answer to that question is yes. Why? Because it is absolutely necessary. Creative writing forces a child to develop, use and build on their imagination. It makes children more aware and observant of their surroundings and allows them to develop a healthy inquisitiveness, which in turn forms the basis of learning and paves the way for a life-long hunger for knowledge. It introduces children to writing from different narratives – which develops their understanding of all sides of a story and not just one perspective. The skill of digging down deep and not just taking stories (and everyday encounters and events) at the surface level is extremely important and will remain with children throughout their lives. It encourages children and adolescents to investigate a situation, understand it from the various perspectives and cling to the idea that there is more to the situation than meets the eye. Rudimentary English classes in schools lays the ground work for understanding the nature of the language. Creative writing helps elaborate on the importance of storytelling and writing. It helps children and adolescents see how stories are in integral part of our culture – stories give life to their imaginations and creativity; they allow children to discover and explore the world and the many ways it can be seen and understood. And most important of all, they help children realize that stories are the base of all things – a sacred geometry of sorts. It is wrong to limit the exposure children have to creative writing by assuming that it is for adolescents only. This not only starves off the creativity and imagination of young children, but also stops them from discovering new ways of looking at themselves. It is through creative writing that children discover the sacred little details and perspectives of the world around them. To introduce and teach creative writing to children is one of the best gifts one can give to their rich imagination and developing minds. The days are longer and the weather is getting warmer. Summer is here! While your children may be excited for two months free from school, you might be worried that they will forget what they learned over the year. Getting your kids to study during the summer might sound like a daunting task, but there are lots of fun ways to encourage learning. Reading is the perfect summer pastime for kids of all ages. If you have young kids who can’t read on their own, you can make reading to them part of your daily routine. Spark their imaginations and sense of wonder by picking exciting books and sharing your favourite stories with them. Reading can be a great bonding activity, and it is never too early to start! For older kids, don’t underestimate your local library. Some libraries have summer reading challenges and clubs. The best part is that they provide concrete goals for reading in a fun way, and encourage kids to read a variety of different types of books. Also, the VPL (Vancouver Public Library) has lots of great free programs that are fun and educational. Past years’ programs have included movie making and a life-sized game of Clue. If you want your kids to practice writing, try encouraging them to keep a summer journal. One way to get kids interested in writing journals is to introduce them to books involving characters who write journals or diaries. The Dear Canada and Royal Diaries series bring history to life and feature strong female characters. The Diary of a Wimpy Kid series is another great option. I still have all the diaries and journals from when I was younger, and it’s always interesting to go back and relive family vacations through the perspective of my younger self. Math can be a bit trickier, but there are entertaining ways for kids to learn math that don’t involve textbooks or worksheets. A quick Google search will reveal a multitude of math games for all levels. TV time can be made productive as well due to great shows like Odd Squad and Cyber Chase that incorporate math into exciting story lines in interesting ways. 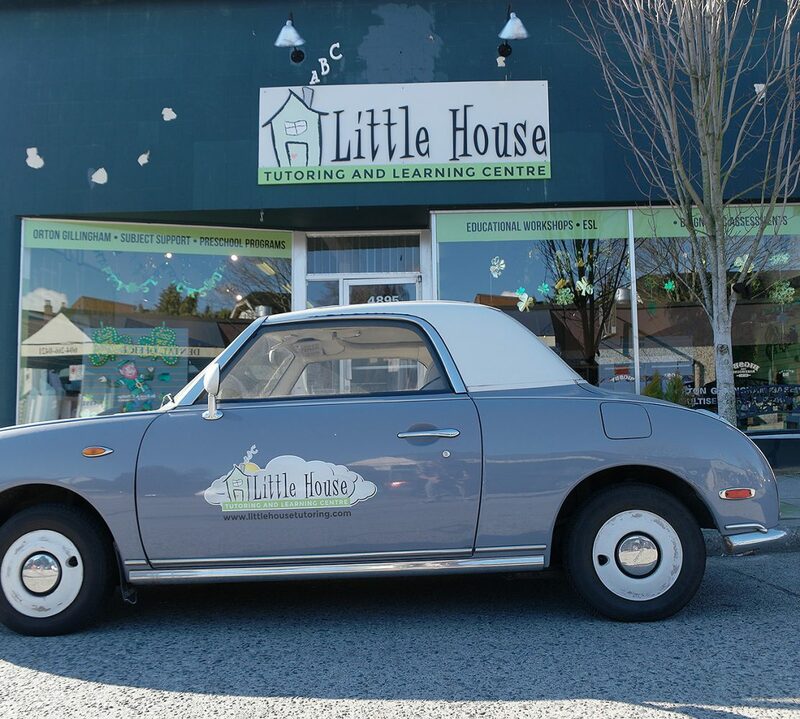 If you are looking for something a bit more structured, Little House has a variety of summer programs to keep your little ones busy, entertained, and learning.